The PUMA Suede sneaker is an icon. That, no one can argue. It was destined to be one, right from the beginning. In 1968, the same year the Suede was first launched, Olympian sprinter Tommie Smith won the 200 metres gold wearing a pair of them. As he stepped onto the podium, the world’s eyes were on Smith’s feet. On the Suede. When point guard Walt ‘Clyde’ Frazier of New York Knicks fame had a customised version that came with a wider platform, it hit cult status, and sparked the birth of a basketball spin-off, eponymously dubbed the Clyde. In the ’80s, the Suede’s popularity bled beyond the courts and onto the streets, as the hip-hop set adopted them as the reverential symbol of cool. Here we are in 2018, exactly 50 years after the Suede’s inception. The sneaker has officially gone global and still harbours just as much culture-packed street cred as it did decades ago. In highlight of the golden anniversary, the German sportswear powerhouse behind the storied trainers presents: The Suede 50, a year-long link-up with brands and icons in the spectrum of music, fashion, street and pop culture to dream up never-before-seen renditions. Still the same rounded silhouette, but reinvented in 50 unique interpretations. 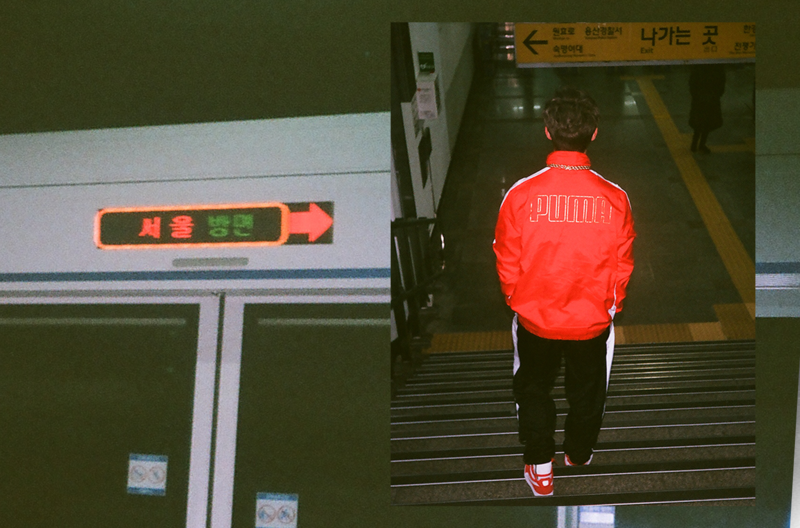 Decked in the first drops of the Suede 50 collab collections, watch as tracksuit-clad actor Lawrence Wong and Insta-influencer Ben Tang embark on an after-hours odyssey through Seoul’s neon-lit alleys. Be it a dusk cycle by the Han River to a round of 4am basketball, it’s an apt 2018 nod to the shoes’ historical roots in urban city life. Just remember to keep your eyes on the real icon. It’s all about the Suede, after all. Press play. Follow #ForAllTime to get in on all the Suede 50 action. In Malaysia, the Suede 50 collections are available in PUMA stores at Pavilion, KLCC, Sunway Pyramid, One Utama, The Gardens, Mid Valley, Bangsar Village, Aeon Bandaraya Melaka, Gurney Paragon, Queensbay Mall, Nuway, Komtar JBCC, Imago Mall KK, JB Paradigm, Genting Sky Avenue and authorised dealers.